Artificial-turf fields, typically harder and shallower than natural-grass surfaces, have been blamed for increases in serious knee injuries and lower-body ligament strains to athletes using the surface. Artificial turf's stiff plastics and polymer surface is not as forgiving as natural grass, and when you try to pivot or make sharp lateral movements, it "grabs" your shoe; thus, short cleats, or studs, are best. Cleats measuring 1/2 an inch are called firm-ground cleats. Compared to the 1-inch, soft-ground cleats, the short cleats are less likely to get locked into — or tear up — artificial turf, and allow athletes better mobility and healthier knees. In 2008, Dr. Mark Drakos, a fellow at the Hospital for Special Surgery, investigated playing surfaces and cleats with regards to injury to the anterior cruciate ligament. At the time, studies had proved inconclusive on which cleats worked best on which playing surface, and which combination of grass, artificial turf, cleat and turf shoe most reduced the risk of ACL injury. Drakos' study, the results of which were reported by the "Journal of Biomechanical Engineering" in January 2010, concluded that natural grass combined with long cleats produced the least ACL strain; for artificial turf, the turf shoe, which has minimal studs, fared best. The My Youth Soccer Guide website clearly illustrates different athletic shoes' cleats. Proper athletic footgear is so important that, according to the Football Babble website, National Football League teams can average 2,000 pairs of shoes per season; the site reiterates that the least amount of "bottom" is important to reducing grab. For soccer players, the Federation Internationale de Football Association specifies in its rulebook that "footwear" is part of the basic compulsory equipment, but does not specify cleat length. Yet, as with American football, soccer requires great lateral agility and cutting movements, so games played on artificial turf would see more short cleats than long. 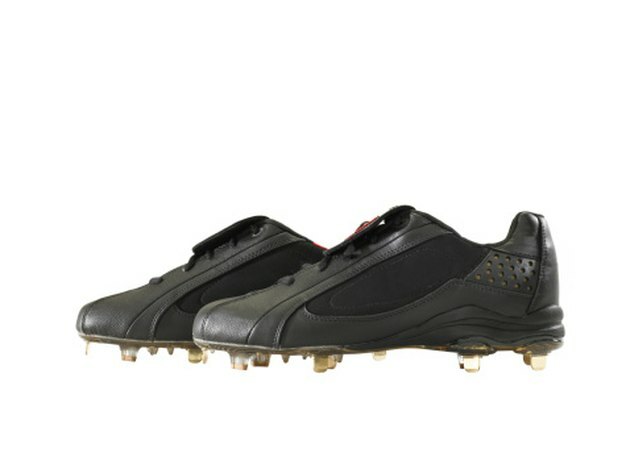 Rugby, lacrosse, field hockey and baseball are other sports for which short cleats would be used for artificial turf. Top cleat vendors include Adidas, Nike, Puma and Mizuno. Each company has its own brand-centric variations, but each provides footwear for numerous field sports. Basic shoe categories are divided into those with molded cleats, which are part of the shoe's sole, and interchangeable cleats, which allow studs of different lengths to can be added or removed with screwdrivers, according to field conditions. Determining "the best" cleat depends not only on turf condition but also on the athlete's physiological and personal preferences. Shoe manufacturers will go to great lengths to provide the best shoe possible and will closely follow research such as the studies conducted by the Hospital for Special Surgery. They will also monitor the artificial turf surfaces and tweak their cleat designs to accommodate any new developments in field-surface material. In the end, the best shoe will meet the expectations of both athlete and manufacturer.